The episode “Wildfire” of The Walking Dead is the show that details the aftermath of the zombie attack on the camp. Andrea who is played by Laurie Holden, loses her sister in the attack and much of the episode is focused on her grieving for the loss of her beloved sister Amy. Andrea is overtaken by the loss which also threatens the safety of remaining survivors as she has to deal with the death of her sister. Andrea is forced to bury her sister as this will be the only funeral she will have for her family. Rick Grimes who is played by Andrew Lincoln, is also faced with some guilt. 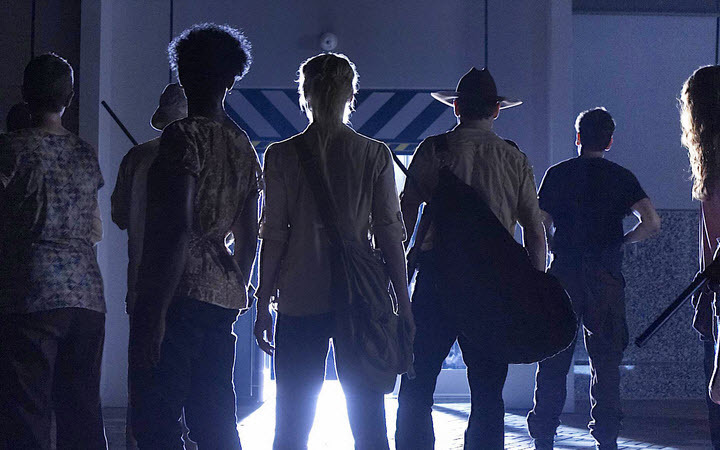 Rick had left the camp with some other members and left the survivors more vulnerable. Shane blames Rick for leaving and causing the amount of people lost in the attack. There is a fall out between Rick and Shane that comes to light as Shane’s trust in Rick has been shaken by his decision to leave the camp. They also find out that Jim has been bitten and they are stuck with the choice of staying or making it to the CDC for help. On there way to the CDC, Jim decides to be left alone in the woods with his bite and to take choice of becoming what he will become, a zombie. Once they arrive to the CDC all hope is lost as the compound is locked down, but at the last minute the door opens.